We deposit your money before you send us your watch. 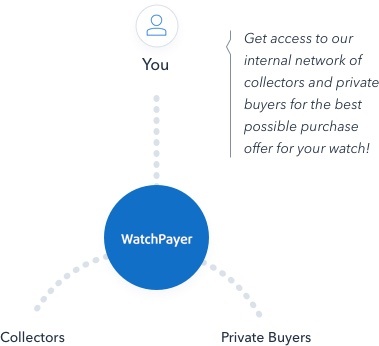 Here are a few reasons why people love selling their watch with WatchPayer. Get the highest offer for your watch without sifting through bids. Get a quote. Accept it. Get your money. We're the only contact point you need to deal with. Keep 100% of your quoted price. On average, you'll see your funds deposited in 36 hours! WatchPayer gives you a 100% risk free tansaction every time. Say goodbye to low-ball offers from dealers and brokers. Once you submit your quote request, our internal bidding system contacts our vast network of collectors and private buyers willing to pay top dollar for the time-piece they want. Within 12 hours we'll get back to you with our offer - the single best price you’ll get for your watch anywhere, guaranteed! We consistently provide higher purchase offers than other leading platforms. One contact point. Highest purchase offers. Risk-free transactions. Instead of selling your watch and being on your way, you now need to "work" in order to sell your watch. Many times it may take weeks or even months to go through the whole watch selling process. 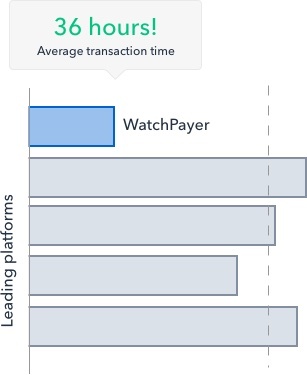 With WatchPayer, the entire watch selling process is fast, easy, secure and transparent. We've made online watch selling safe, easy, and fast. Upload your watch info into our quote request form. Through our vast network of private collectors we'll get you the best possible price for your watch, guaranteed! Zero-risk transactions. We send your money before you send your watch. Get a fully insured label for free. Rest assured your funds are in safe hands from start to finish. Once you accept our offer, we’ll put your money in escrow before you send us your watch. After you see your funds safely secured, we’ll send you a 100% fully insured shipping label so you can send us your watch with peace of mind. This 2-step process guarantees you a risk-free, safe and pleasant transaction. 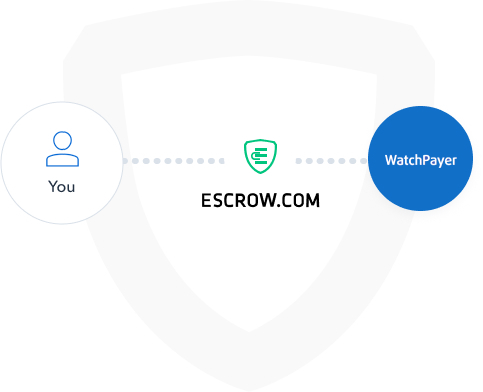 Read more about how Escrow works. We make it our goal to deposit your funds as fast as possible. 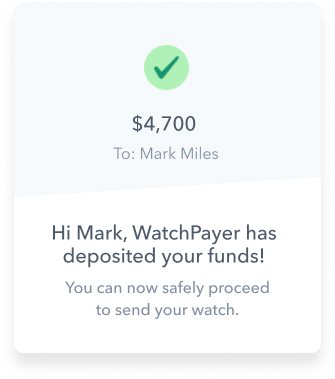 One of the biggest problems people have with selling their watch online is how long it takes to actually receive their funds, so we made it a top priority to reduce lead time on your funds transfer by as much as possible. On average it takes us 36 hours from quote request to money deposited in your Escrow account. You will be hard pressed to find shorter transaction times anywhere. In fact, other leading platforms can take anywhere from a fews days to over a week to deposit your funds! Ready for a hands-off ultra-secure way to sell your watch online? Get the highest price for your watch guaranteed! We send your money before you send your watch! Here are just a few testimonials from people who have recently sold us their watch. I've been waiting for an online watch buying service like watchpayer for a very long time now. 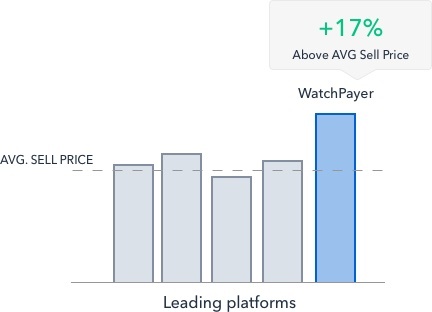 I sold 3 watches on watchpayer and received better quotes from them than anywhere else. 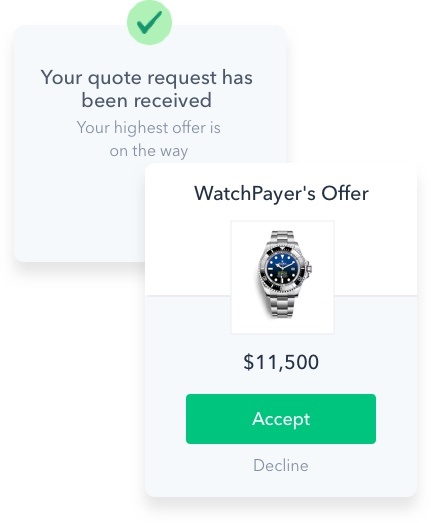 If you're looking for a quick and easy way to sell your watch online, use them! I can not stress enough how much better these guys are then other services out there. I sold two watches to watchpayer and everything was quick and easy.. not to mention i got a better quote from them than anywhere else. Harry, D. sold his Rolex Datejust II. Outstanding customer service, very accurate and thorough. Awesome process from start to finish,thank you!! John, D. sold his Hublot Big Bang Jeans Chrono. 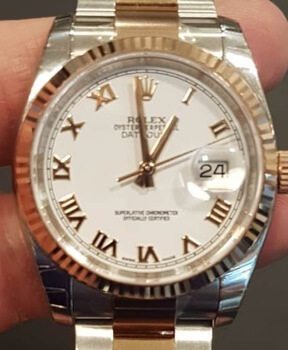 When it came time to sell the Rolex my ex-wife bought me I wanted a super quick "in and out" procedure to sell my watch online.. that's exactly what I got with watchpayer. Would use again. Glenn, S. sold his Rolex Datejust Two Tone. Terry, B. sold his Omega Seamaster Ploprof.